Local high school students learn to identify macro-invertebrate species collected through river sampling. Local students gather to learn about the ecology of the Osa’s rich river systems. 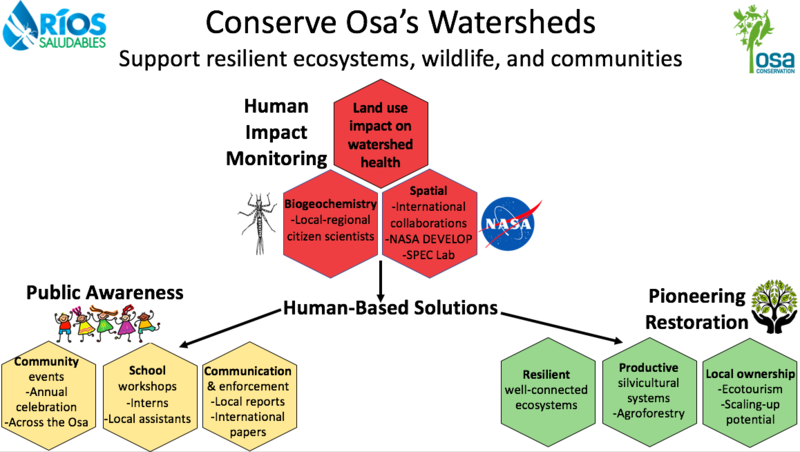 Osa’s watersheds and rivers are vital for the health of communities and ecosystems. Unfortunately, they are being degraded by unsustainable agriculture practices, human settlement and resource extraction. Osa Conservation launched the Ríos Saludables (Healthy Rivers) program in 2014 to conserve the Osa Peninsula’s watersheds in order to foster resilient ecosystems, wildlife and communities through implementing ecological, social, and economic approaches. 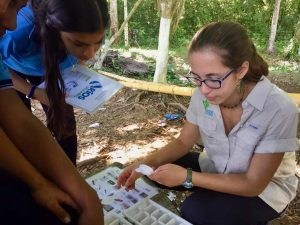 Thus, Ríos Saludables works to improve ecosystem health in degraded watersheds and increase local watershed conservation leadership through advancing education, monitoring and restoration. 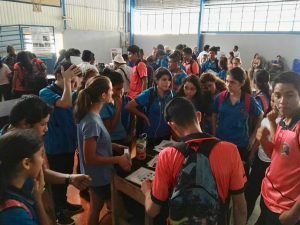 The cornerstone of the Ríos Saludables program is the environmental education of citizen scientists and local students. We recruit local students, landowners and community leaders to participate in hands-on, field-based training that provides them with the skills to monitor their watersheds and empowers them to train others to do the same. 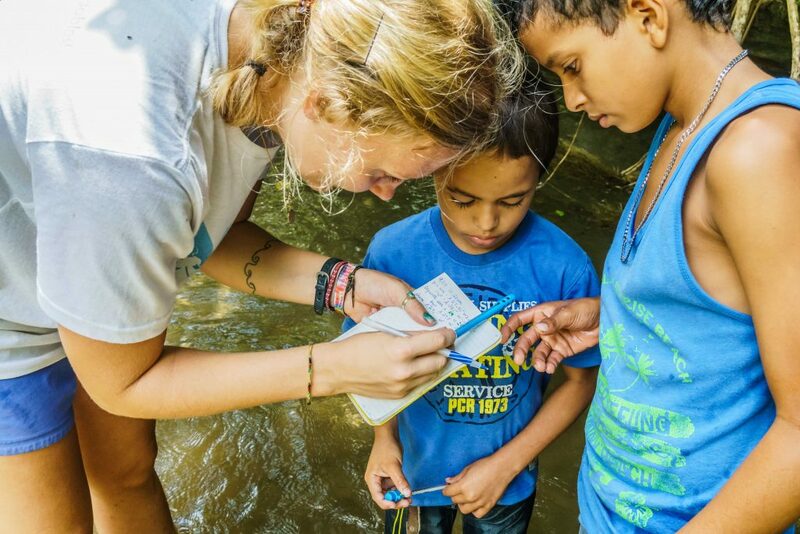 Engaging the community in their own backyard creates a culture of conservation leaders who work together with researchers and scientists to keep their streams healthy. We work with six teams who are committed to monitoring their local streams, guiding local public primary and secondary schools and hosting community events. 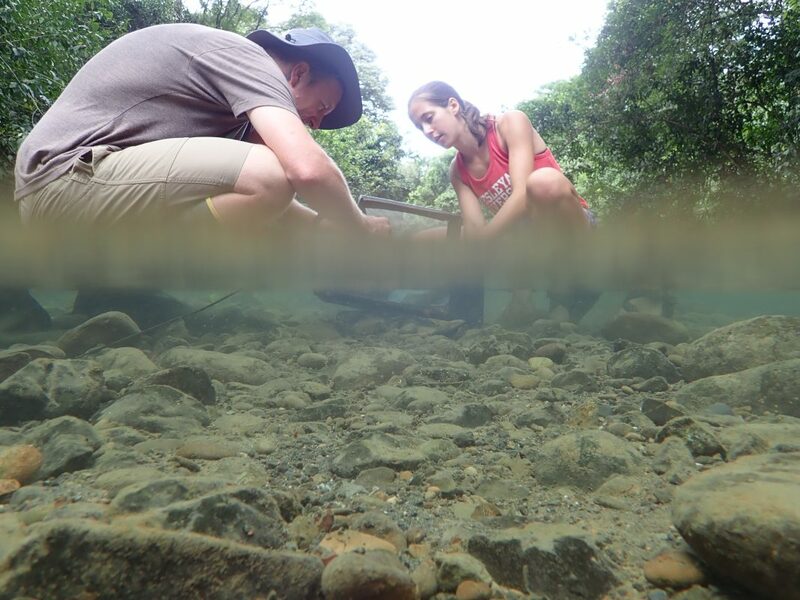 Two young students receive hands-on experience and comprehensive training in conducting research in their rivers. Rios Saludables enhances scientific understanding of land-use change on river health and consequently on the greater ecosystems – rainforests, mangroves, and the unique Golfo Dulce. With citizen scientists and partners, we monitor water quality across land-use types to detect change and address key conservation questions. We are collaborating with NASA DEVELOP and the University of Florida’s SPEC Lab to integrate our water quality field data with their spatial analysis and with social factors to determine priority watersheds for monitoring, education, and restoration. Ethan and Hilary collect macro-invertebrate samples from the riverbed and analyze the health of the river system through high-level analysis. Our program is working with community partners to develop a case study of innovative community-based riparian restoration to encourage local conservation leadership. With potential to scale up this project in the Osa, Costa Rica and across the neotropics, we start by working with local landowners to restore riparian grassland strips to a biologically and economically productive silvicultural system. Using native trees, edible agroforestry species for humans and wildlife, pioneer species and natural fences, this riparian system will be both ecological and economically productive. As part of this project, we are incorporating wild vanilla, stingless bee hives and silvipastoral techniques, as well as hosting workshops about riparian restoration and monitoring techniques. Click here to read more about our recent projects with the initiative.